Ben Simmons may have silenced the doubters for one night with his triple-double performance leading the Philadelphia 76ers to a dominant NBA playoff victory against the Brooklyn Nets to level up the series 1-1. But to some the Aussie needs to show a bit more consistency even though it was quite a turnaround for Simmons. The Australian was given a standing ovation after scoring 18 points 12 assists and ten assists after being booed by sections of the Sixers' crowd in game one. Simmons even triumphantly put his right hand up to his hear as the crowd stood and cheered his steal and basket during the third quarter. While the Australian impressed with a strong outing there's still some pessimism from sections of the US media, despite lauding the Sixers' star's comeback from a poor opening to the series. ESPN's First Take host Stephen A. Smith paid Simmons his dues for his performance in game 2 but stopped short of guaranteeing the Sixers the series against the Nets, describing their third quarter firestorm as "an aberration". "Ben Simmons played lights out but not the game before," Smith said. "He's a natural match up nightmare for them but that's when he's playing his game which he doesn't always do. If he can do it for three more games then I think they can do it." Smith's co-host, Max Kellerman agreed that Simmons was a nightmare for any team to guard and that some critics should calm themselves on their expectations, considering the Australian has his best years ahead of him. "Let's not forget Ben Simmons is 20. This is his second year in the league. We see the "Greek Freak" on an MVP level now without a shot, that's just a matter of time for Ben Simmons," Kellerman said. The Philly Voice's Kyle Neubeck applauded Simmons for his approach in game 2 but also suggested the 20-year-old adjust his mentality during offence to prioritise scoring rather than looking to pass first. “Rather than shrink from the moment, Simmons responded to the jeers by coming out and imposing his will against Brooklyn to start Game 2,” Neubeck wrote. 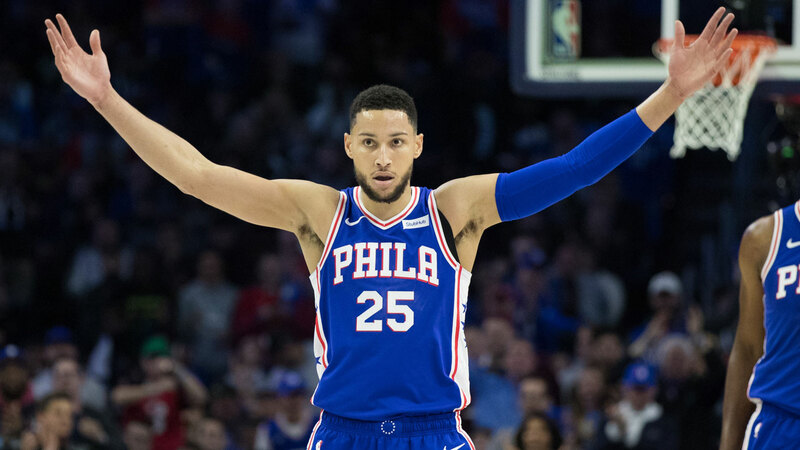 “His demeanor was completely different, and Simmons was at the center of pretty much everything for Philadelphia’s offense, pushing the ball in transition, demanding it in the post, and making sure he was going to control the game. “I love watching Simmons thread passes through tight windows, but he’s a considerably better player when he’s looking to attack and then passing off of that, rather than passing first and worrying about scoring later. After showing too much timidity in Game 1, he made it a point to attack the rim with bad intentions, and that led to passing success later on." According to Yahoo's Vincent Goodell the match was a reminder of what Simmons was capable of but that it also provided the second year star and the Sixers a recipe for the type of effort that's needed to win in the playoffs. "On Saturday, Simmons was Casper the Friendly Ghost. On Monday, he looked like an apparition, dashing from one end to the court with such swiftness it seemed as if there were more than one No. 25 wearing blue. While David Murphy wrote in The Inquirer that Simmons “elevated his game to the exact height the Sixers needed”. “For 30 minutes, Simmons treated the Wells Fargo Center crowd to an exhibition of his remarkable package of traits,” Murphy said. “There’s his vision, one of those unteachable traits that can open up a defense regardless of where he is stationed on the court. You saw it late in the third quarter, when he spotted an open shooter in his periphery even before a pass into the paint arrived. He had the ball in his hand for less than a second, tapping it out to Mike Scott for a knockdown three. “There’s his length: In the closing seconds of the period, he batted a missed Sixers shot away from Nets forward Treveon Graham and into the open arms of Scott, who lobbed it through the rim at the buzzer to extend the lead to 116-87". Simmons and the 76ers travel to the Barclays Centre in Brooklyn for game 3 (Thursday) and 4 (Saturday) against the Nets.